New York Bound for BEA! | Read in Colour Read in Colour: New York Bound for BEA! New York Bound for BEA! In a few weeks, New York will be overrun with book lovers and I'll be one of them! 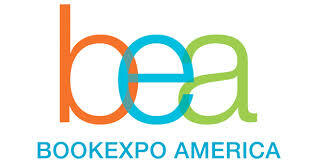 Ever since I started blogging, I've wanted to attend BookExpo America. Their website describes it as, "the #1 event in North American publishing and the ideal place for content creators and consumers to discover new books/titles, meet favorite and new authors, learn about trends shaping the book industry, and network with those have a passion for books and reading." I call it a chance to hang out with my book blogging partner in crime, JNic aka @litfangrl, while we drool over soon to be released books and stalk some of our favorite authors. There's also a book blogger's conference the first day, so I'm hoping to come back with plenty of new ideas to keep you guys interested and engaged. If you'll be in the New York area and you're interested in attending, but don't want to stay for the whole conference, there's a Power Reader event on June 1 that will allow you access to the convention floor. I'm planning to take in a few Broadway shows and do a little sightseeing, but if you're going to be around for BEA or live in the area, I'd love to meet you, so please don't hesitate to reach out. Last, but not least, I've toyed with the idea of providing a monthly newsletter for those that don't have time to read full reviews, but want to know what I've reviewed for the month. I've also thought about a newsletter that highlights upcoming releases. I know Goodreads does this by genre, but wondered if my readers might like something along that line that focuses on authors and characters of color. Fill out the survey below and let me know.